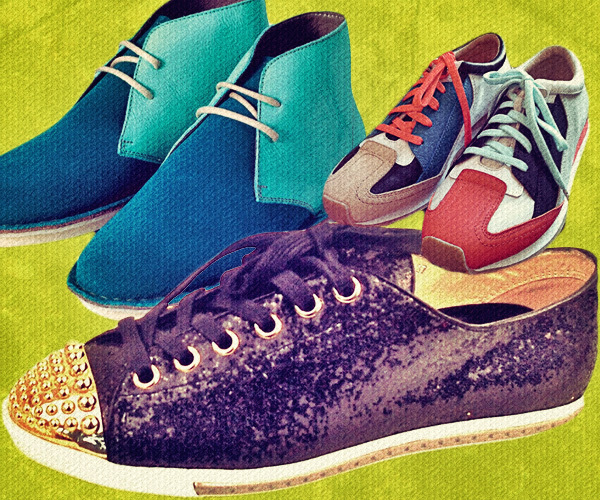 Jumping on the fashion sneaker trend, Elizabeth & James is moving to stylishly sporty with a new sneaker collection. As part of their Resort 2013 collection, the Olsen Sisters designed four sneakers, three of which have released images. The collection reveals a contrast color-blocked sneaker, a blue/green moccasin-like sneaker (Prajaa) and a cap-toe glitter sneaker (J. Litvack). Retailing for $275 a pair, the sneakers are expected to go on sale early next year.